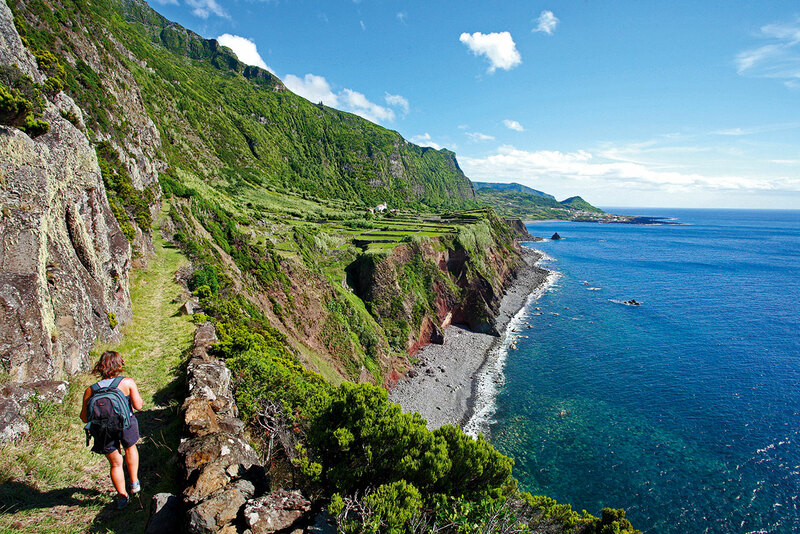 This short linear trail begins in the parish of São Vicente Ferreira and follows the coast as far as the parish of Calhetas. The starting point is next to the Fishing Port in São Vicente, which used to be the most important port in São Miguel Island, back in the days of whaling. The former Whaling Factory lies next to the port, where there are also some natural swimming pools. 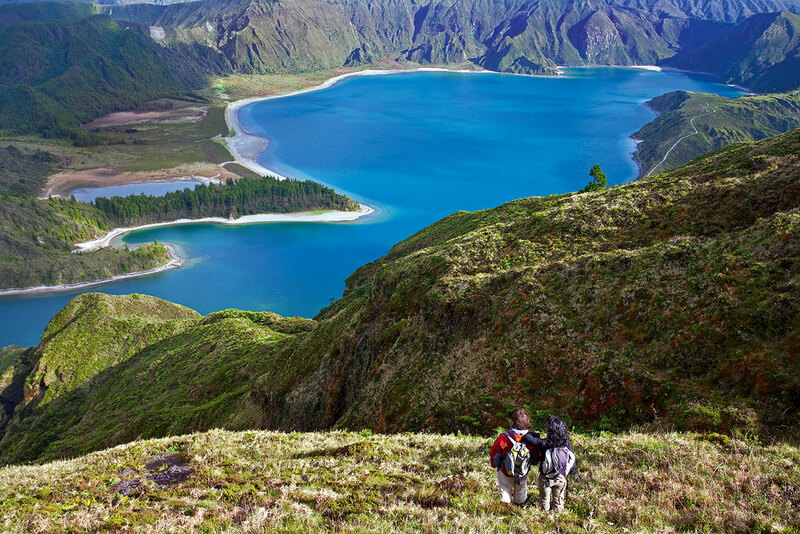 The trail follows along the coast, offering magnificent views of various headlands, namely the Ponta de São Pedro, the Ponta do Cintrão and Ponta dos Fenais da Ajuda. After walking for about 600 metres along a tarmac path, turn left onto a footpath, which takes you alongside the coast for a short stretch until you come to a dirt track. Follow this track, passing a restaurant, and shortly after you will come to Fenais da Luz. Cross the parish by walking along the regional highway as far as the church, then turn left towards the coast. Here you can turn off the path to the left where you will find a vantage point with a view of the coast. Next, go down the road flanked by houses on either side, where traditional 17th and 18th century buildings can be seen. You will soon leave the residential area and should continue along a dirt track as far as Calhetas. There are various points of interest in this area, such as the Ponta de São Pedro headland, the 16th century chapel of São Pedro, and, a little further on, an interesting geological formation called the São Pedro hole, or Buraco de São Pedro. Be careful not to get too close to it, as there is a risk of falling. 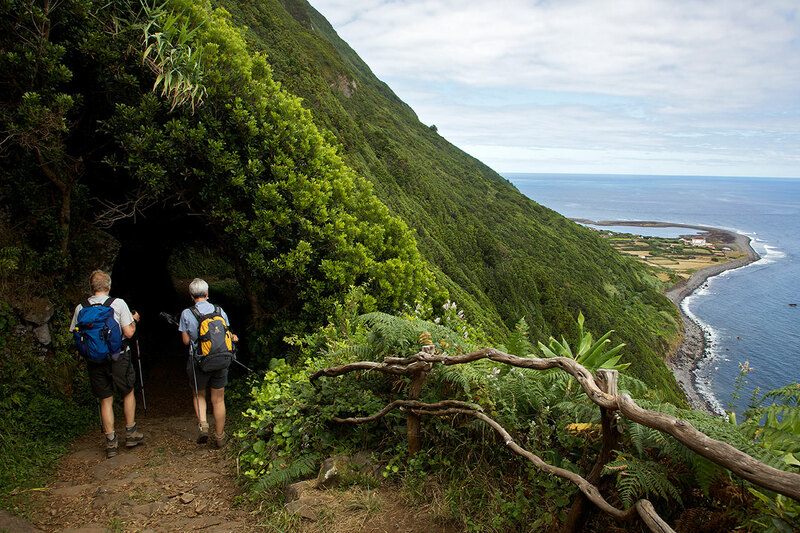 Continue along the track for 1,8 kilometres and you will come to the centre of Calhetas, where the trail ends.